When considering any kind of cosmetic procedure, it's important to know you're in good and capable hands. This couldn't be more true for those considering cosmetic dental procedures. A cosmetic dentist possesses a skill set above and beyond what's learned in dental school. Because modern dentistry is so complex there simply isn't enough time to cover cosmetic dentistry. Sure, many dentists can and will treat cosmetic patients, but some Doctors go above and beyond to master the skill, and it shows in their craftsmanship. Knowing "who's who" in the sea of options can be a daunting task. What should you look for? What questions should you ask, and most importantly, what to avoid? With so many portals for information, the web can often leave you more confused then you were when you started. To simplify your search, start by asking your friends, colleagues and families if they know of any quality cosmetic dentists in your area. It's highly likely that your own network, or a friend of a friends network (facebook anyone?) will provided you with a few solid referrals. Once you've got it narrowed down to a few names, take your search to the web. A website will often emulate the office culture and tell you a fair amount about the doctor and team (e.g. well organized, thoughtful, informative and up to date). All of these things are good sign that the doctor is implementing the same practices in their actual practice. You'll also want to check out their before and after gallery for a sneak peak of their work. Just keep in mind that some cases present limitations that the Doctor cannot control. Once you've decided on a couple practices, it's time to contact them. Be it email or phone, you should be able to reach them easily. And when you do reach them, you should feel good about the initial contact you have. Don't be afraid to drill the receptionist, even if she cannot help you, she should be trained well enough to direct you to someone who is. Again, these are all good indications of the Doctor's practice principles. A well-trained courteous team will probably lead you to a well-trained courteous dentist. Assuming all goes well with your initial contact, you'll arrange for a consultation with the Doctor. At this time you'll have an opportunity to meet the Doctor and team in person, and get a general feel for the practice. Many restorative and cosmetic dentists will take a series of photographs for you to look at together, along with any necessary x-rays. He or she will complete a thorough exam and answer any questions you might have. From there, most cosmetic practices employ a treatment coordinator to present your treatment plan and discuss any administrative concerns (i.e. financing, insurance, scheduling). It's typical for a treatment coordinator to have a clinical background, so they can answer most of your questions after the Doctor gives his/her diagnoses/recommendations. Think of them as a liaison between you, the Doctor, and any other dental specialists that may be involved in your treatment. Choosing a cosmetic dentist is tough stuff. It's difficult to know "who's who," and trusting your smile to someone is a big deal. If you don't feel comfortable with the doctor or team, go with your gut and seek a second opinion. Steer clear of disorganized practices that don't seem to have a handle on cosmetic dentistry, and don't be afraid to ask about their credentials. Most cosmetic dentists will jump at the opportunity to gush for days about technology, technique and what they've most recently learned in continuing education. At the end of the day, a true cosmetic dentist will go gaga for a gorgeous smile, and you'll likely notice! 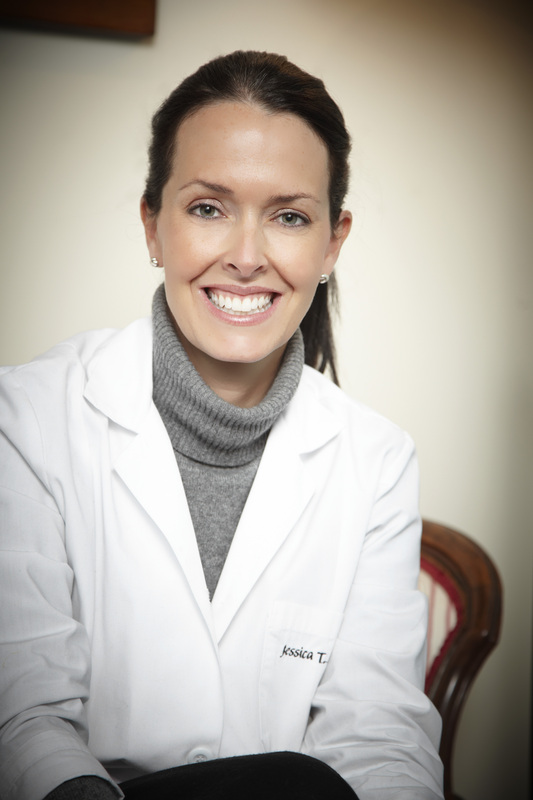 Contact us if you're interested in cosmetic and restorative dentistry and would like to schedule a consultation with Dr. Jessica Emery.